Today has been even more action packed than yesterday. With Year 5 going underground, taking to the sky and making memories on the high seas. The morning dawned bright and sunny and after another huge breakfast the groups made their way to the first activities of the day. 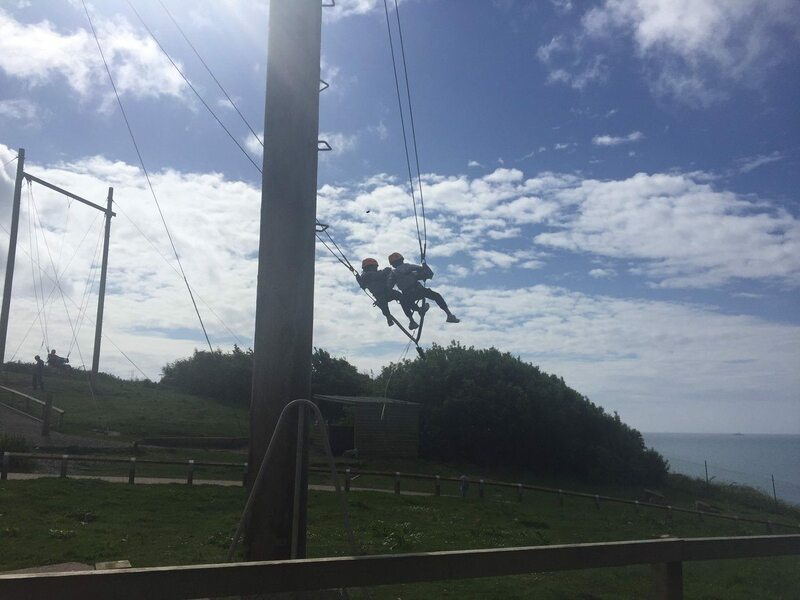 It was Group 3 who tackled the infamous giant swing, with even Miss Golds and Mrs Clarke soaring to new heights. 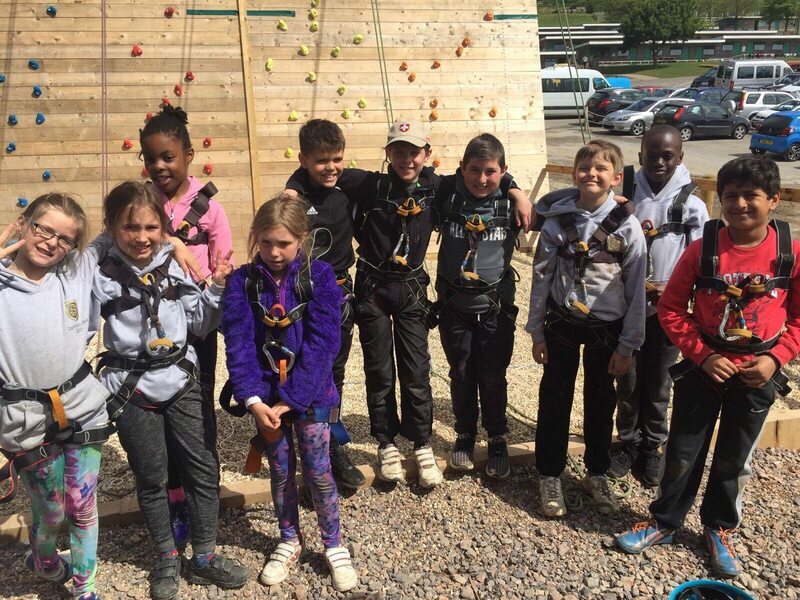 Groups 1 and 2 climbed to the top of the climbing wall and went underground to explore the tunnels of Osmington Bay. It was especially good to see everyone taking part in all the activities overcoming initial nerves. 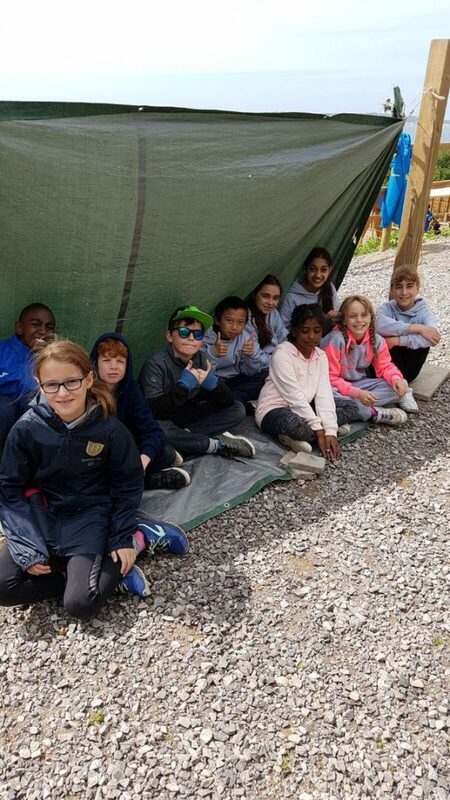 Groups 3 and 4 enjoyed their chance to discover orienteering with Group 4 also learning some exciting survival skills such as starting fires and building camps. 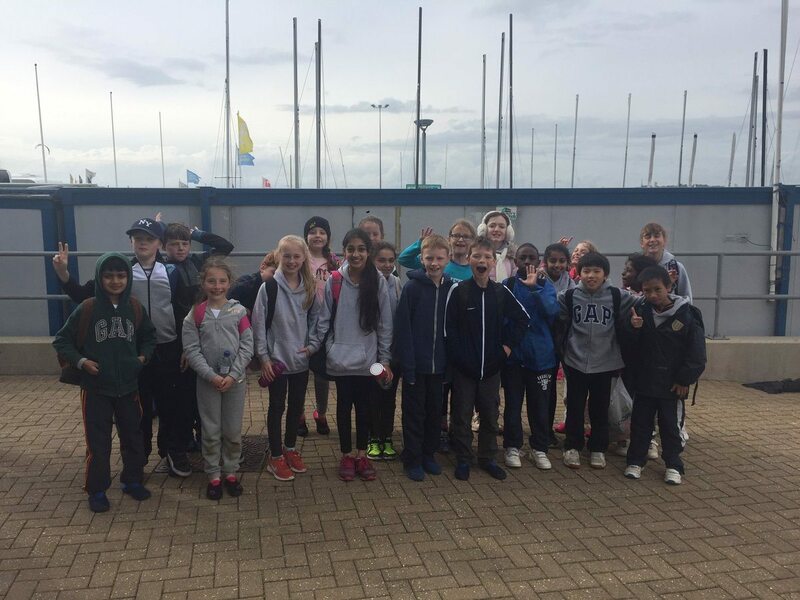 This afternoon all of Year 5 went to Weymouth to reenact the victories of London 2012 by taking to the seas. 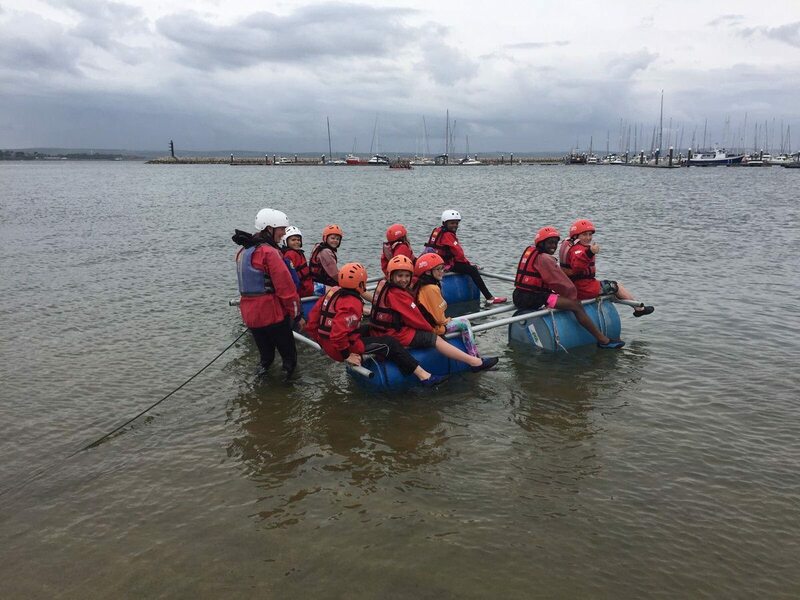 Groups 3 and 4 went sailing whilst groups 1 and 2 built their own rafts and then took to the sea to test them out. 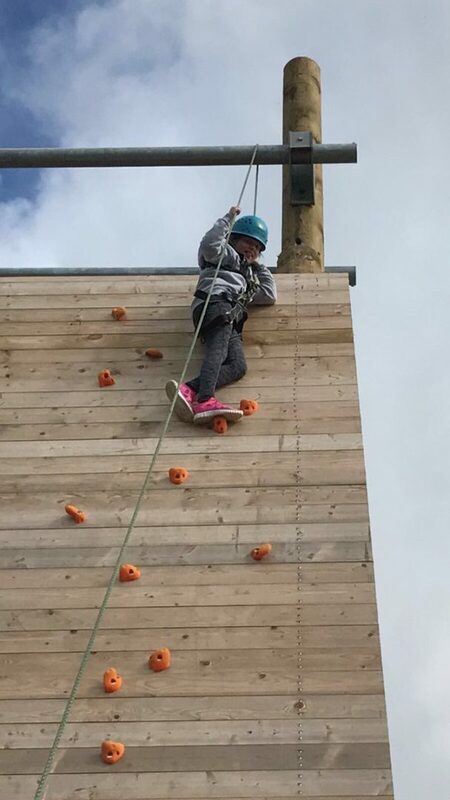 Special mention must be given to Ali in 5J who didn’t want to leave the water and clearly got a lot out of the experience. Tonight we have dressed up and got ready for another highlight of the trip the disco. We are all hitting the dance floor to show our best moves and that is just the staff! 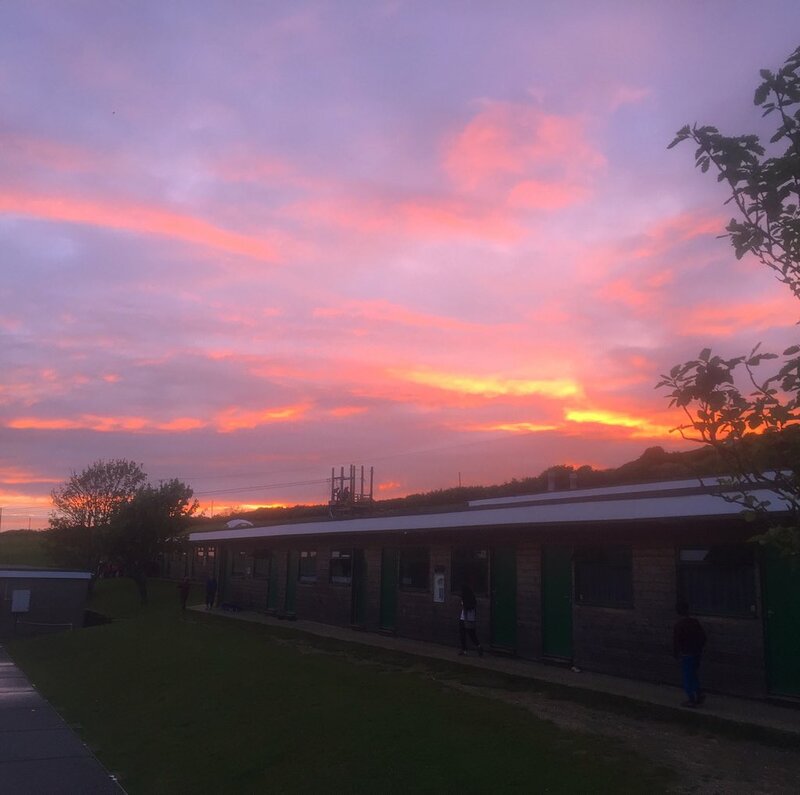 We now only have a short time left at Osmington Bay and it is lovely to see all the children getting on so well with each other and definitely developing positively from the experience.